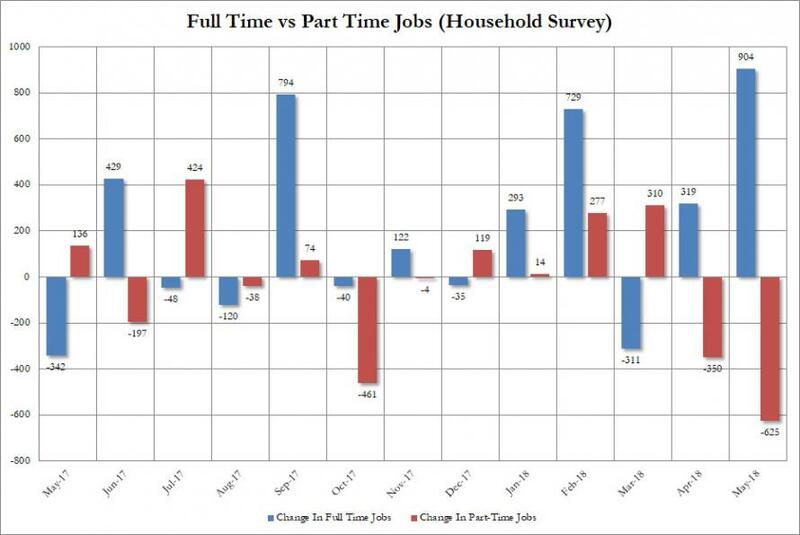 Or perhaps it was, because while looking at the headline Establishment Survey print showed a +223K jump in total jobs, looking at the Household Survey showed one stunning outlier print: in May the number of full-time jobs rose from 127.753 million to 128.657 million, a 904K increase in one month, offset by a 625 plunge in low-quality, part-time jobs. Putting this surge in full-time jobs in context, it was the biggest monthly increase this century, and also on record if one excludes a few data revision prints recorded in the 1990s. 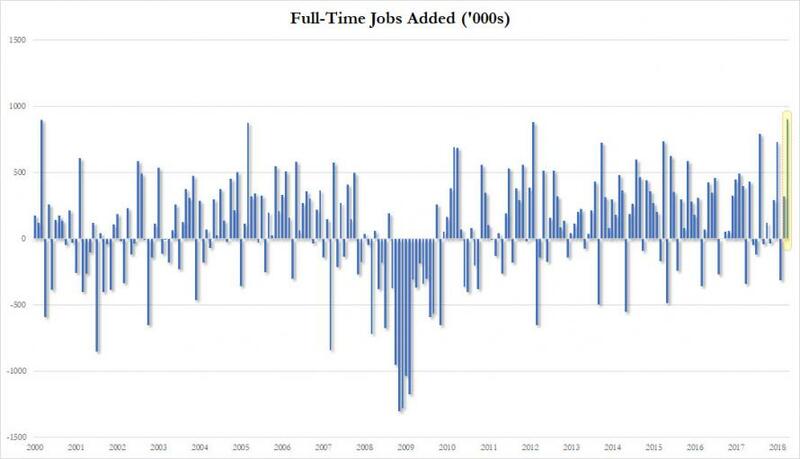 So when Trump said "Looking forward to seeing the employment numbers at 8:30 this morning", while the headline print did indeed beat, it was nothing to write home about, the surge in full-time jobs, offset by a plunge in part-time jobs, was certainly historic. Finally, going back to Trump's tweet, White House Economic Adviser Larry Kudlow said that President Trump did indeed know about the jobs numbers last night, "but his tweet earlier this morning wasn’t meant to send a signal." One wonder if the regulators will share that view.